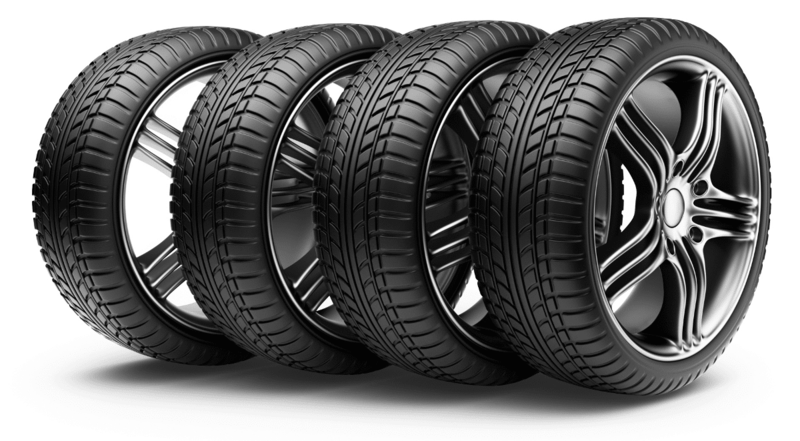 ​Rotating your tires is a very good habit; it extends the life of your tires by evening the wear of the rubber. As you may know the front tire will have the most wear as it bears all the turning and braking forces of your vehicle, this is especially true for front-engine cars because the weight would be focused at the front. Rotating your tires isn’t done weekly nor monthly, for it to be practical you should rotate them every 8000 kilometres or check your car’s manual if it has a recommended mileage. Note that rear-wheel drive, four-wheel drive and all-wheel drive have the same pattern as they are similar in how they wear. Front-Wheel Drive – the most common type of layout and mostly found in sedans and hatchbacks. The Front tires will receive the most wear as it is used to drive the car and also turn. ​Switch the Front tires to the back in a criss-cross pattern and bring the Rear tires at front in the same orientation. ​Rear-Wheel Drive (4WD, AWD) – this layout is mostly found in family vans, pickup-trucks, SUV’s and sports cars. The Rear of the car will likely have the most wear because it’s the driven wheel. ​​Bring the Rear tires up-front in a criss-cross pattern then move the Front tires to the back at the same orientation. ​Different Sized Non-Directional Tires – if you’re driving a staggered performance car obviously there’s no chance of switching the tires front to back. ​Simply just switch the Left tires and the Right tires. Front-Wheel Drive ​– almost the same as the Four Tire Rotation except you switch the Front Right tire with the Spare. ​Bring the Rear tires at front in a criss-cross pattern then bring the Front Left tire at the back. Store your Front Right tire and place the spare tire at the Rear Right. ​Rear-Wheel Drive (4WD, AWD) – almost the same as the Four Tire Rotation except you switch the Front Left tire with the Spare. ​Bring the Rear tires at front in the same orientation then move the Front Right tire diagonally to the Rear Left. Store the Front Life tire and use the spare tire in the Rear Right. Same Size Directional Tires – if you opted for performance directional tires; you can’t switch them left to right as the grooves are designed to be facing only one direction. ​Simply just switch the Front tires and the Back tires.